Watch Band Aid 30 Do They Know It’s Christmas? video! 1D, Ed, Ellie, Olly and more star in this crimbo charity single! 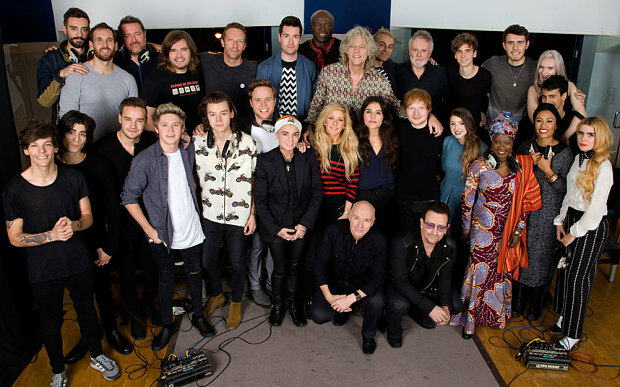 You can now download the brand-new Band Aid 30 Christmas single! The classic tune Do They Know It’s Christmas? 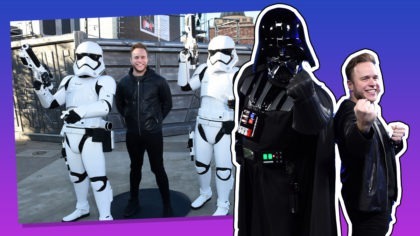 has been re-recorded by some of the biggest stars in the world to hopefully raise lots of money for charity. They popped in to a London studio bright and early on Saturday morning (November 16) and the producers had just 24 hours to edit it all together! The man behind it, Sir Bob Geldof, showed off the finished version for the very-first time during Sunday’s (November 17) X Factor results show on ITV. All the money made from the track will go towards tackling the deadly Ebola virus in West Africa.